Does your stomach pain and diarrhea come from Crohn’s disease? If so, you may qualify to participate in our research study of an investigational medication. Participation in our Crohn’s disease research study is for adults only and may last up to 57 weeks. 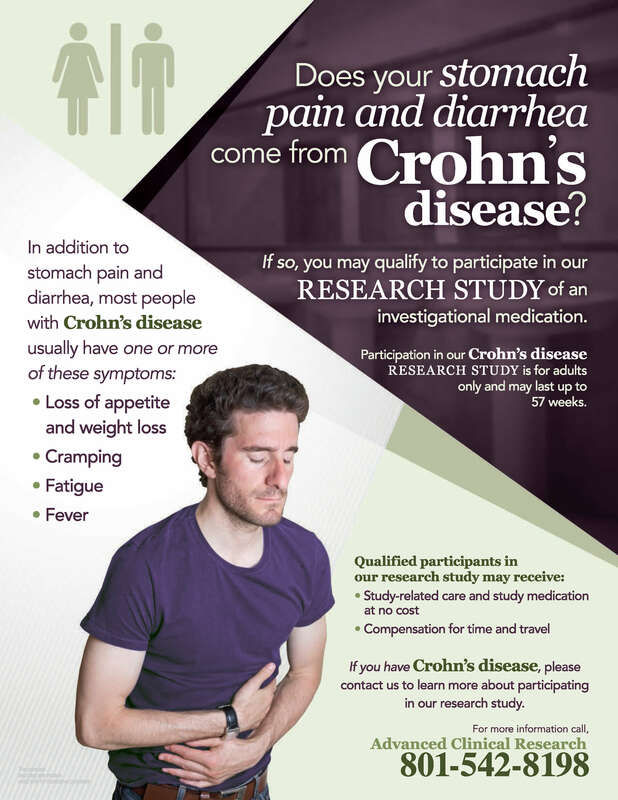 If you have Crohn’s disease, please contact us to learn more about participating in our research study. For more information, call Advanced Clinical Research, 801-542-8198.